From the very beginning, Senate Republicans have been trying to hide all they can about Trump's Supreme Court nominee, Brett Kavanaugh. Even amid the ongoing FBI investigation, their shameful efforts have not subsided. With only days — if that — remaining in the probe, Senate Majority Leader Mitch McConnell (R-KY) has announced that the findings of the investigation would not be made public. The move is disappointing, albeit unsurprising, given the already unprecedented degree of secrecy with which Kavanaugh's nomination has been handled thus far. McConnell said, "We will get an FBI report soon. It will be made available to each senator, and only senators will be allowed to look at it." Enough is enough. Republicans may have gotten away with hiding a staggering 100,000 pages of Kavanaugh's records, but the American people deserve to know the results of this investigation. 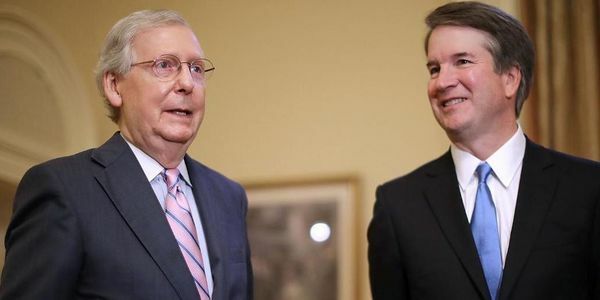 Just as his confirmation to the Supreme Court could impact millions of American lives, those people have a right to know just who it is that their elected officials will vote for or against in only a matter of time. Senate Minority Leader Chuck Schumer (D-NY) explained, "there is a growing consensus in the Senate that when the FBI investigation is complete, the findings should be released publicly with any personal information redacted. Why are our Republican colleagues so afraid of making this public?" If Republicans truly believe that Kavanaugh's testimony to the Senate Judiciary Committee was honest, then there is absolutely no risk in making public the findings of this crucial investigation. Americans have had enough of the blatant lies, subversion, and gaslighting from the GOP with regard to this entire process. We, the undersigned, demand to know the results of the FBI's investigation into Brett Kavanaugh before the Senate holds such a monumentally important vote.